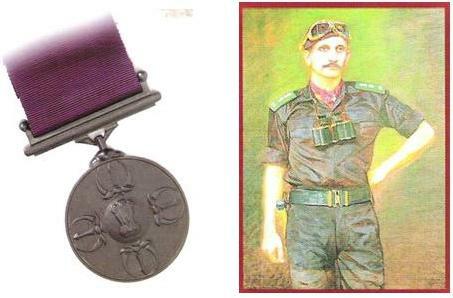 On 16 December 71, when the Indian positions in the Western Sector were outnumbered and subjected to Pakistani armour attacks, 2/Lieutenant Arun Khetrapal hearing about the assault on his radio set, moved with his tanks and assaulted the enemy strong points. Physically over running the enemy positions, he captured many of them at pistol point. When the enemy subsequently launched another attack, 2/Lieutenant Arun Khetrapal personally destroyed four enemy tanks of the attacking armour. In this fight, his tank was hit and burst into flames and he was severely wounded. Though ordered to abandon his tank, but realising that the enemy was still pressing their attack in the sector, he continued engaging the enemy tanks and destroyed one more tank. His tank was hit a second time, as a result of which he died, but the enemy was denied the breakthrough by his heroic deeds. In this action, 2/Lieutenant Arun Khetrapal displayed conspicuous gallantry in the face of the enemy, indomitable fighting spirit and tenacity of purpose. On 15 December 71, Major Hoshiar Singh was ordered to capture a well fortified enemy locality at Jarpal. He led the charge and captured the objective after a fierce hand to hand fight. The Pakistanis put in three counter attacks on 16 December 71, two supported by tanks. Unmindful of the heavy shelling and the tank fire, Major Hoshiar Singh motivated his men to stand fast and fight. Inspired by his leadership, the attacks were repulsed with heavy casualties on the enemy. Again on 17 December 71, the enemy made another counter attack in great strength supported by heavy artillery fire. Though seriously wounded by the enemy shelling, Major Hoshiar Singh again went from trench to trenchwith utter disregard for personal safety motivating his men and when an enemy shell injured a machine gun crew, Major Hoshiar Singh manned the machine gun inflicting heavy casualties and repulsing the enemy attack. The enemy retreated leaving 85 dead including the Commanding Officer. 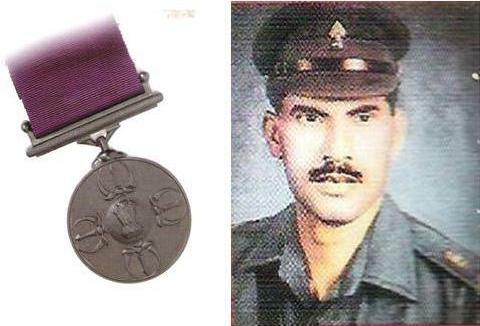 Though seriously wounded, Major Hoshiar Singh refused to be evacuated and throughout the operation displayed conspicuous gallantry, indomitable fighting spirit and leadership of the highest order. The POONA HORSE Regiment under the command of Lt Col A B Tarapore was tasked to deliver the main armoured thrust for the capture of Phillora. Leading the Regiment, Lt Col A B Tarapore gallantly attacked the objective, repulsed waves of Pakistani armoured counter attacks and refused to be evacuated despite being wounded. While still wounded and without any treatment, he led his regiment to capture three more Pakistani locations and despite his tank being hit several times continued to attack the enemy’s armour destroying 60 enemy tanks at a cost of only nine tank casualties. 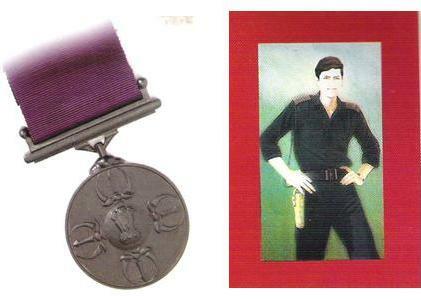 In this heroic action which lasted from 11-16 Sep 65, wounds meant no pain and death meant no terror to Lt Col A B Tarapore. His performance was in keeping with the highest traditions of the redoubtable POONA HORSE, far beyond the call of duty.